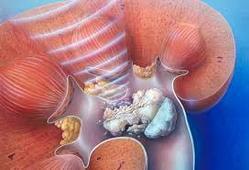 Removes kidney stone in 3-4 month's and stops recurring of the stone. Remove Kidney Stones With Rays without surgery. Product detailsindication:- removing stones from kidney, ureter and bladder. Dosage:- 1/2 teaspoon 2 to 3 times with water. Kidney Stones are formed due to crystallization of minerals and waste materials found in the urine. A kidney stone may be the size of a pinhead or it may be large up to the size of a grape fruit and may obstruct the urinary pathway causing acute pain and bleeding as well as blocking the flow of urine. 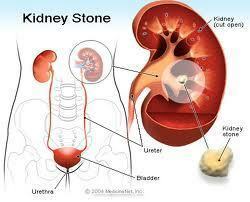 A kidney stone is a hard mineral and crystalline material formed within the kidney or urinary tract. Kidney stones are a common cause of blood in the urine and often severe pain in the abdomen, flank, or groin. One in every 20 people develops a kidney stone at some point in their life. Kidney stones cause excruciating pain, tend to recur, and are distressingly common. It is known that approximately 30 % of people in the world will have at least one stone in the course of their lives. The disorder has a long history. Stones have been found in Egyptian mummies and have been mentioned in histories of Babylonia and ancient China.